Yet another reason why we are gardening for the health of it–refined sugar is incredibly harmful and people are looking for healthy alternatives. There are many low-calorie sweeteners on the market, but most of them are artificial and can be toxic. Wouldn’t it be amazing to be able to grow your own calorie-free, natural sweetener? You can! Native to Paraguay and other tropical areas of the Americas, the stevia plant(Stevia rebaudiana) produces leaves packed with super-sweet compounds 200 to 300 times as sweet as sugar that remain stable even after the leaves have been dried. 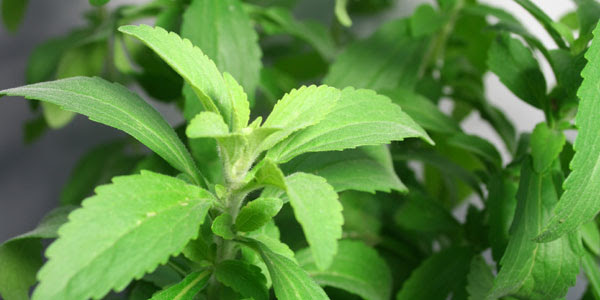 Stevia leaves have been used to sweeten teas and beverages throughout South America for centuries. More recently, diabetics and dieters alike have turned to stevia to reduce their sugar intake because, unlike honey, maple syrup, agave or molasses, this natural sweetener has zero calories and is not metabolized by the body. Stevia is especially well-suited to sweetening drinks, fruits, salad dressings, yogurt and most creamy desserts. Stevia can even substitute for some, but not all, of the sugar used when baking, because it does not provide all of the multiple functions that sugar does. Growing stevia is easy in well-drained beds or large containers, and the leaves can be dried for winter use like any other herb. Stevia grows best in warm conditions similar to those preferred by basil. Plants grown in warm climates will grow to 24 inches tall and wide. Stevia can be started from seed indoors in late winter, but it’s best to start with seedlings. I have found the plant at Whole Foods and other health stores. Choose a well-drained site, and set out the plants 2 feet apart after your last frost. Left unpruned, stevia will grow into a lanky, upright plant that produces tiny white flowers in late summer. To maximize leaf production, you must trim back the plants several times to induce branching, first when plants are about 8 inches tall, and again in early summer. You can use the leaves from the pinched-back stem tips, or root them in moist potting soil to increase your supply of stevia plants. Stevia Tea. Fill a metal tea ball with 1 rounded tablespoon of dried, lightly crushed stevia leaves. Place in a clean pint canning jar, and cover with almost-boiling water. Steep 10 minutes before removing the stevia. Screw on the lid and keep in the refrigerator for up to 5 days. Yield: 2 cups (16 ounces), sweetness equivalent to about 2 cups sugar. Stevia Extract. 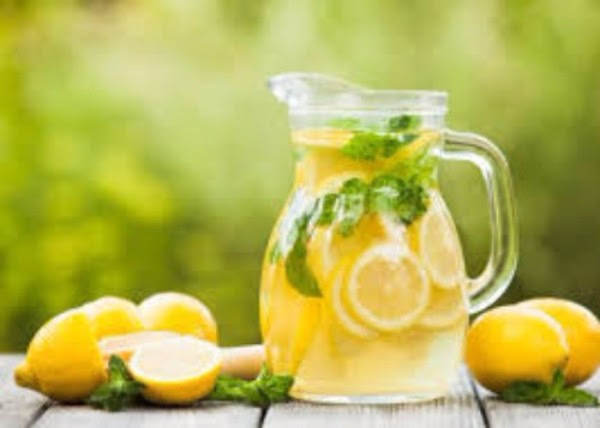 Bring 1 cup water to almost-boiling, add one-half cup lightly crushed stevia leaves. Remove from heat, cover with lid, and steep 40 minutes. Strain through a coffee filter, and pour into a dark-colored container. Store in the refrigerator 1 to 2 weeks.Yield: 3/4 cup (6 ounces), equivalent to 3 cups sugar.